Knick Germany manufactures the world’s only IECEx certified portable pH meter . The IECEx certified portable pH meter is called the Portavo and is available with a range of models & options. The meter is intrinsically safe for use in Zone 0 & 1 applications & also includes ATEX certification, in addition to the IECEx certification. 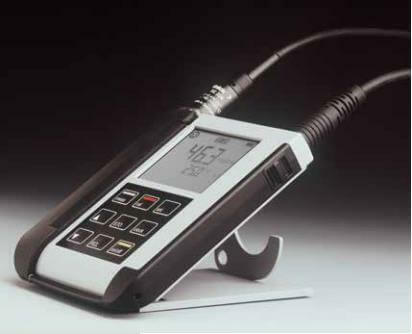 The Portavo 904X is available, as a pH meter, a Conductivity meter or a Dissolved Oxygen meter. A combination meter is also available which allows you to swap the probes while keeping the meter the same, due to the meter utilising the same Memosens technology as used on Knick’s fixed systems. Memosens probes allow you to swap your current probe for a pre-calibrated one of the same type or a completely different type & start measuring the new value within a few seconds. A datalogger which can hold upto 10,000 values is built-in & its data can be downloaded via USB using the free software. The entire IECEx certified portable pH meter runs on just 4x AA batteries for upto 1000 hours.